Making handmade stoneware mugs by hand is just what we do. 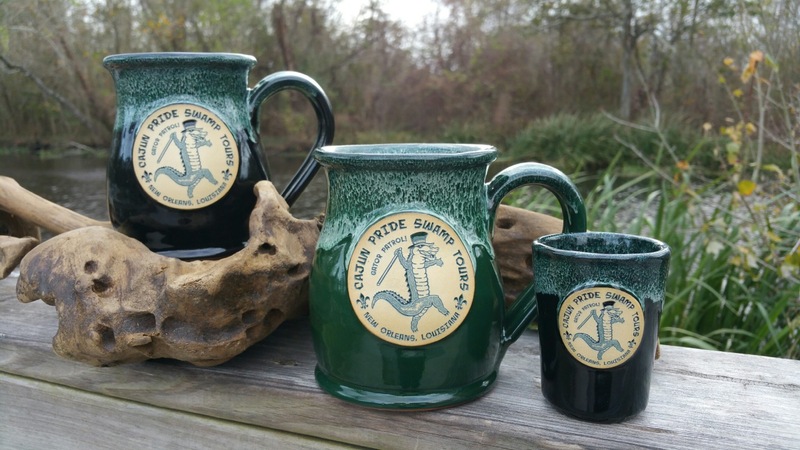 My family has been at this for almost 40 years, our anniversary is coming up in 2012, and each mug that we make has a story. 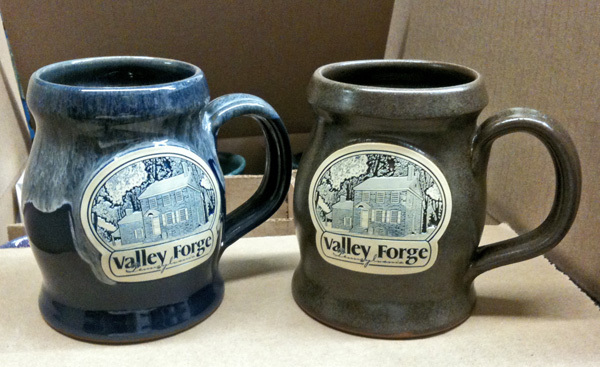 Every custom stoneware mug that we create is done so for a customer, innkeepers for their bed and breakfasts, banks, insulation companies, or even National Parks like Valley Forge. The style of the mug that we are focused on today is our latest and greatest called the patriot. This 12 oz. mug was designed by our potter Wade, who has been throwing pots here for coming up on 15 years. He is also fast becoming our glaze chemist, and we will have some new matte finishes very soon thanks to him. Anyway, back to the story, the Patriot mug! This mug was named on in honor of Independence Day with help from a close knit group of our fans on Facebook.